A special Holiday concert from our good friends Curtis and Loretta. Their music comes straight from the heart. 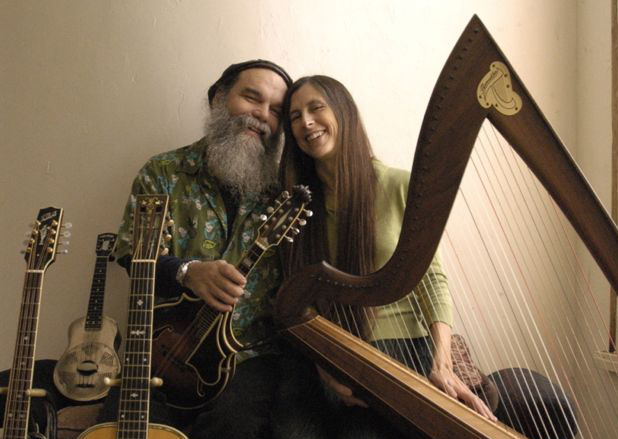 This husband and wife duo’s extraordinary harmonies on stringed instruments of all kinds frame both their poignant original songs and traditional pieces from America and the British Isles. Whether it be on the mandocello, folk harp, ukulele, mandolin, harmonica, or kazoo they deliver their own unique brand of folk singer/songwriter music to the delight of their audience. Curtis’ down-home sense of humor and Loretta’s theater background engage the audience in an experience that runs the gamut of rolling with laughter to holding back tears, with plenty of side-trips in between. Music at the Museum is a monthly concert series produced by Chris Vallillo featuring the best in contemporary and traditional folk and acoustic music of all styles. Concerts are held the second Thursday of each month at 7:00 pm in the Museum auditorium. Tickets are available at the door. For more information on the featured acts and a full series schedule, visit www.ginridge.com/extras/music-at-the-museum.